Emirates Financial Towers (EFT), Dubai was awarded the guinness world record for the world’s largest automated parking facility. Royce Monteverdi‘s Robotic Parking System designed and manufactured the automation and machinery for this 1,200 space automated parking facility. 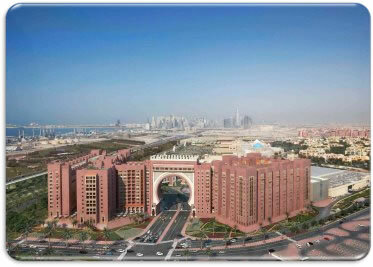 The system design was inserted between the concrete structure of the above towers. This robotic parking garage was completed in 2006 and serves as employee parking and the company’s research, development and testing facility. Royce Monteverdi‘s Robotic Parking Systems, Inc. manufacturers its machinery from raw steel to finished product using off-the-shelf, high-quality electrical and mechanical components with L10 lifetimes of 40,000 hours or above. As part of its strategic partnership with Robotic Parking Systems, General Electric supplies all motors, electronics and automation controls for the company’s automated garages. All of the automated parking machinery produced in the Clearwater, Florida factory undergo a 24 hour stress test and certification before being shipped to a job site. Rigorous quality control procedures are followed to ensure the flawless operation of the machinery and equipment being implemented in the field. This robotic parking facility is a designed and built project. 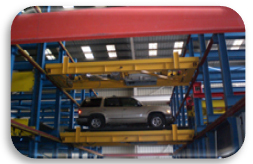 It is the first automated parking garage in the Middle East region. Permits for this stand-alone garage were obtained in 2007. The automated car park was constructed in 2008 and officially opened on August 12th 2009. We believe that this facility is the world’s first and only automated parking garage that had pre-opening performance tests conducted that proved peak traffic handling of more than 250 cars per hour. The owner, Seven Tides Limited, entered into an operating and maintenance agreement with Robotic Parking Systems who continues its operation to date. 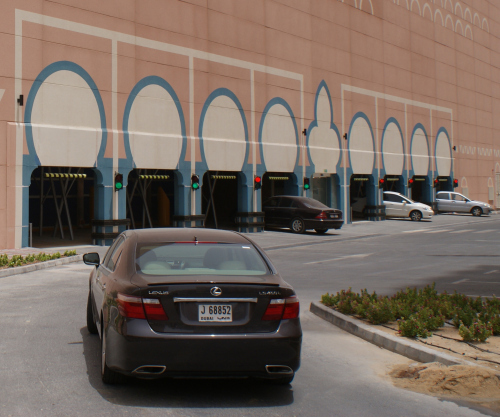 As of 2012, this robotic garage is the only automated car park in the Middle East region that has a continuous operations track record of more than three years. 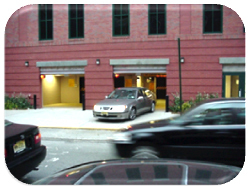 The installation of the Robotic Parking System in Hoboken, New Jersey in 1996 was the first such automated parking garage in the United States of America. Computer logs of close to 700,000 transactions in the automated parking garage show an “up time” over four years of continuous 24/7 operation of 99.99%. Occupancy of the 314 space Hoboken facility was above 300 cars. The project has its challenges, many of them related to the socio-economic climate of Hoboken at the time as well as the challenges of being first to market with a new technology (more info). During such intensive operational conditions, we were able to learn exactly what elements could be improved and then incorporated those improvements into our next generation installations. “I’d give up food before I’d give up this garage.” –E.H. 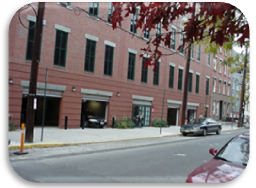 “… it has been easy and trouble free – very pleasant – and the closest we will come to a driveway in Hoboken.” –L.V. “… It’s such a pleasure to park and walk across the street to my apartment. I’ve been timing how long it takes to retrieve my car, and it’s been about 1 1/2 minutes (not bad at all – ‘smiley face’) … This garage … is (a) great addition to the neighborhood.” –R.C. “It is the wave of the future … Does it work? Yes … I watched while Robotic Parking’s staff ran some of the many thousands of storage and retrieval cycles with and without vehicles.” –J.F. “… it has been very good … Today there were 3 of us in a row retrieving cars, and everything ran smoothly …” –H.W. A Carbon Credit is created when the equivalent of one metric ton of carbon dioxide is prevented from entering the atmosphere. Internationally known as Certified Emission Reductions, Emission Reduction Units, or Verified Emission Reductions, each carbon credit has a monetary value depending on the type and origin of the emission reduction produced. Each carbon credit can be traded on the open market, with the current spot rates on the European Union’s Emission Trading Scheme averaging 25 Euros per tonne during 2008, (EUA DEC ’08). With the onset of the current global financial crisis and the reduction in the price of oil, the emissions market has been affected. Please see the current spot rate as indicated by the graph just below. As the economy begins to recover and the price of oil rises, the value of carbon credits will also increase. Carbon credits are mostly purchased by governments & corporations who have a legal or moral duty to reduce their carbon footprint. A growing number of individuals are also purchasing sufficient personal carbon credits to claim a ‘carbon neutral’ lifestyle. Although these organizations could implement change in their home country by sponsoring emission reduction projects locally, the economic benefits of deploying an equivalent emissions reduction scheme in the developing world for a fraction of the cost is what drives the international trade in ‘carbon offsets’. Carbon offsetting is the process by which a successful emissions reduction is produced in one geographical location and claimed by another. For example, a hydro electricity generation plant established in South America with the financial assistance of the Japanese government displaces the more polluting local oil & coal fired power stations, thereby creating a sizable carbon emissions reduction. In return for providing the financial assistance, (without which the project would not have occurred), and allowing the international transfer of technology to support the plant, the Japanese government may claim the carbon emission reduction for their home country, thereby offsetting their national carbon reduction commitments. In return, the developing nation develops sustainable resources, retains first world technology & benefits from a cleaner domestic environment. EMERGING CARBON MARKET: WHAT’S IT WORTH? Lawmakers, such as the previous Secretary of State for the Environment, Rt Hon. David Miliband MP, passed legislation to cut 60% of CO2 emissions in the United Kingdom by the year 2050. Robotic Parking Systems can also help in the drive to reduce greenhouse gas emissions. The recently completed Ibn Battuta Gate parking garage in Dubai reduces CO2 emissions by more than 100 tons per year with comparable reductions in other pollutants and greenhouse gases. It additionally saves 9,000 gallons of gasoline per year thus contributing significantly to carbon footprint reductions.